If pretty packaging is your thing, then feast your eyes on this little selection of kitsch delights! 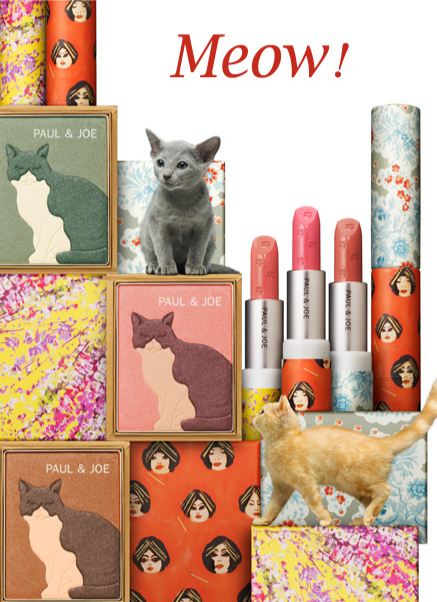 Paul & Joe is a fabulous French fashion label with a history dating back 17 years, and this is their beauty range. 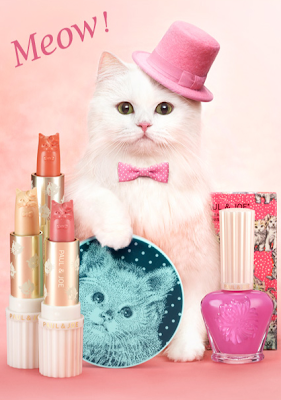 The Spring/Summer 2012 collection is cat crazy! Oh Gosh, the lipsticks...the lipsticks. Not only are the prints on the packaging inspiring but the cuteness of the cat shaped colour itself is enough for me to show them off but never share! These will definitely escape being chopped up and pressed into a palette. Oh my goodness this looks like it was made for me! Everything I love! This is amazing, thank you for sharing! hahahah these are so cute! I don't really know how applying that lipstick would work, but I probably would just display them as art rather than wear them! They remind me of little russian dolls. too adorable for words. love it, love it! Too much cuteness! 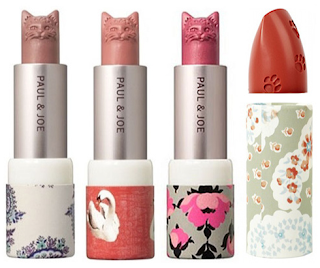 Those lipsticks are adorable!